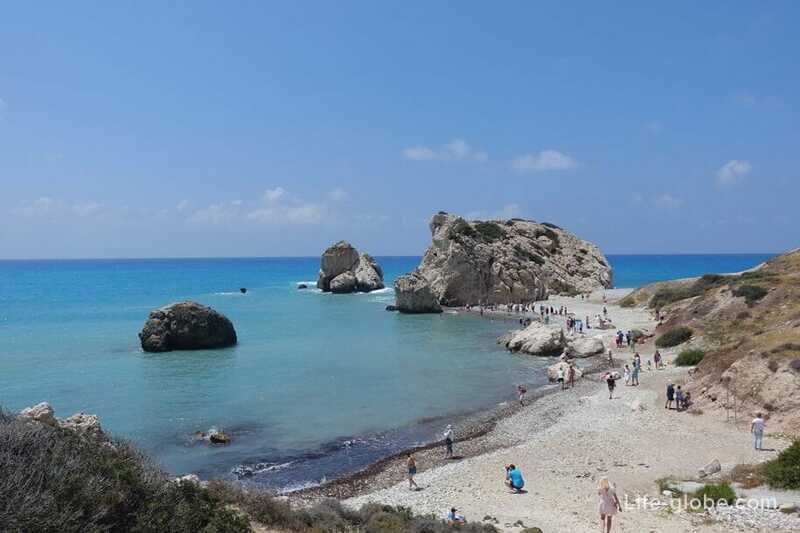 The majority of tourists coming to Paphos, pursuing primarily two main goals: a beach holiday on the beach and exploring the local attractions. The city of Paphos and its surroundings are ideally suited for these purposes. 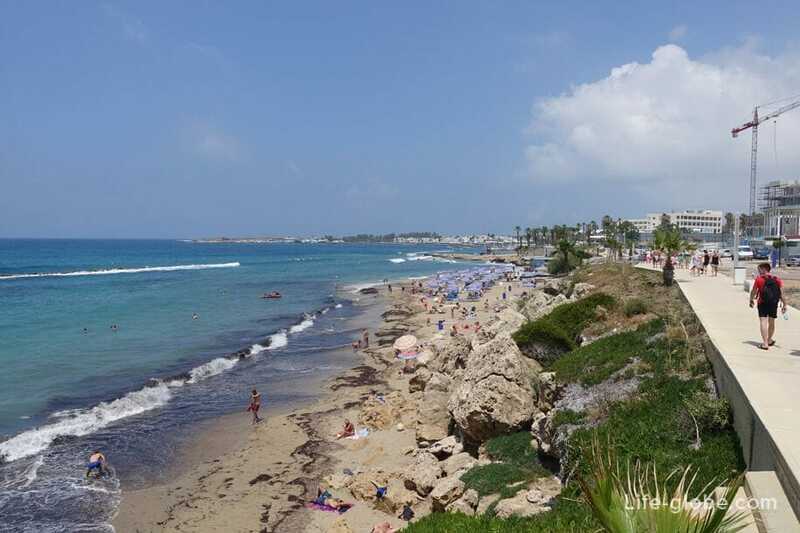 Most of the beaches of Paphos are awarded with "Blue flag" - a sign of purity and quality of the beach and sea water. 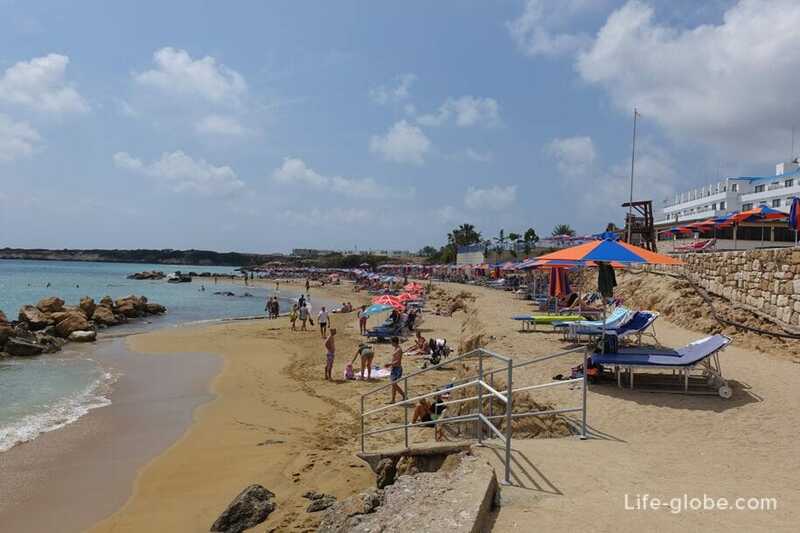 All municipal beaches of Paphos, which means is absolutely free, you will have to pay for the use of beds and umbrellas if desired. Average cost for two sunbeds and a sun umbrella is 7.50 Euros. 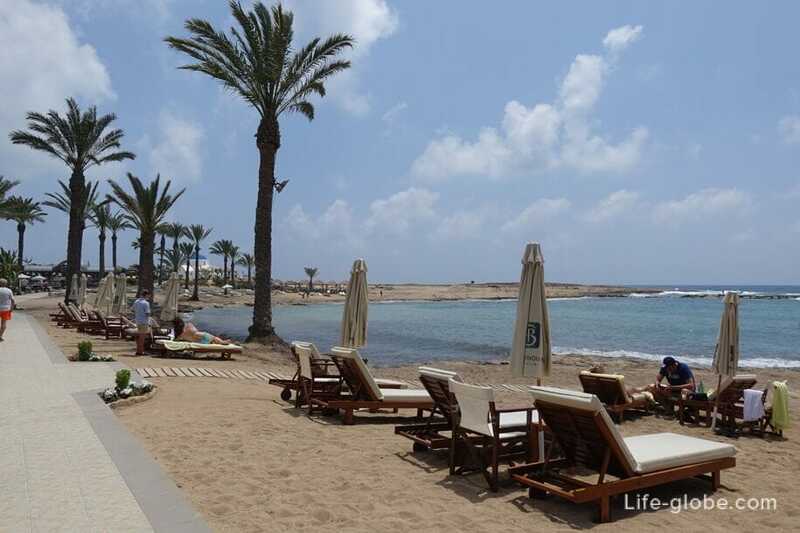 All the beaches of Paphos and well-equipped. On the beaches: deck chairs and umbrellas, toilets and showers, rubbish bins and changing rooms, rescue towers and designated for water sports. On some beaches, a small Playground and area for sports. Close to the beaches or directly on those, there are always a couple of cafes or bars. Lifeguards with lifesaving equipment and first aid are on the beaches from April 15 to October 31, from 11:00 to 17:30 hours. 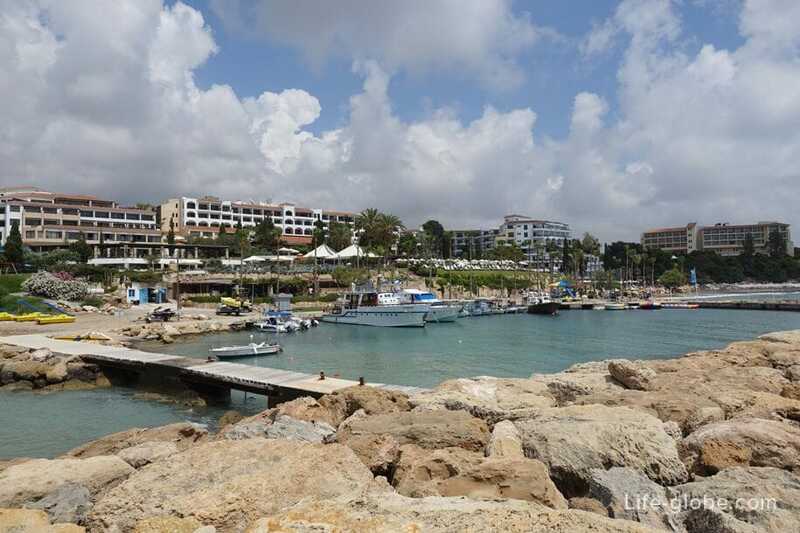 In Paphos there are hotels located near the beach. Beaches near hotels public. As a rule, hotel guests can make free use of sunbeds and parasols. For the rest, rent of beach equipment will be paid. 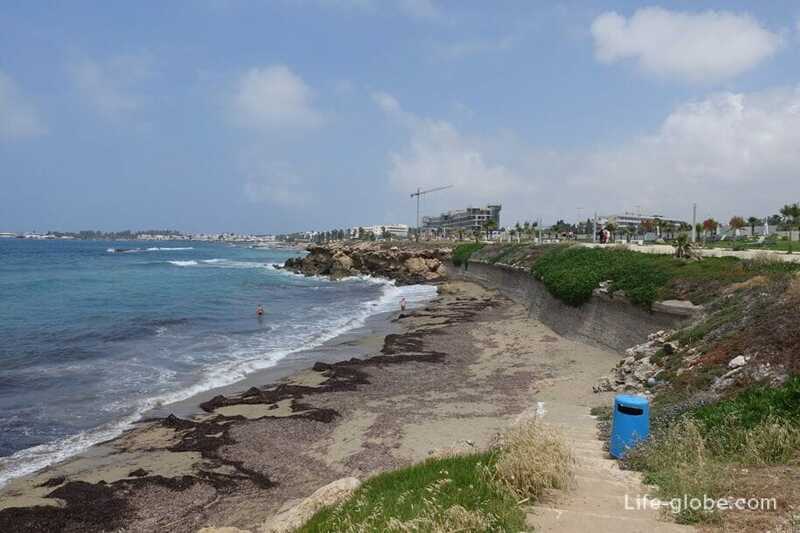 For easy orientation, conventionally, the beaches of Paphos can be divided into South and North. South those located further South along the coast from Paphos castle and the Central promenade of Kato Paphos. And the North, respectively, to those located North of the coast from the castle. 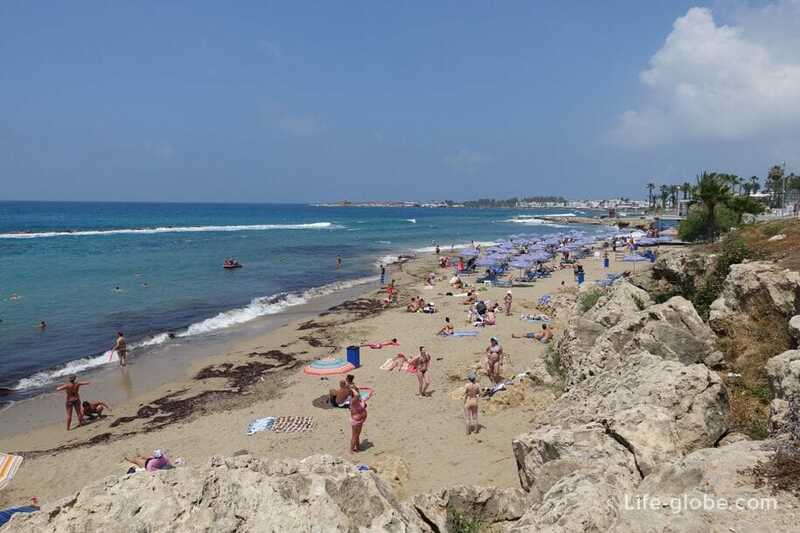 More popular, and therefore crowded beaches of Paphos are the southern beaches, including the beaches of the Paphos town and the beaches of Yeroskipou. 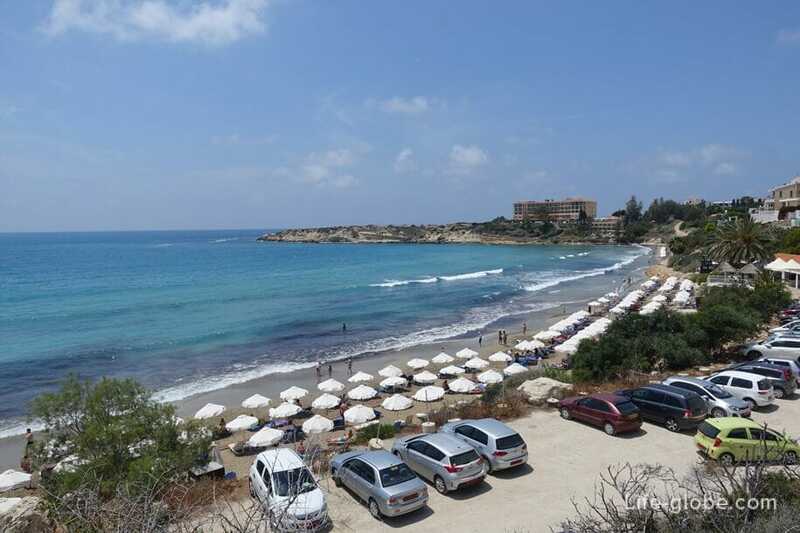 To the Northern beaches include all the beaches of the North coast of Paphos town and the beaches of Coral Bay, part of the municipality of Peyia. 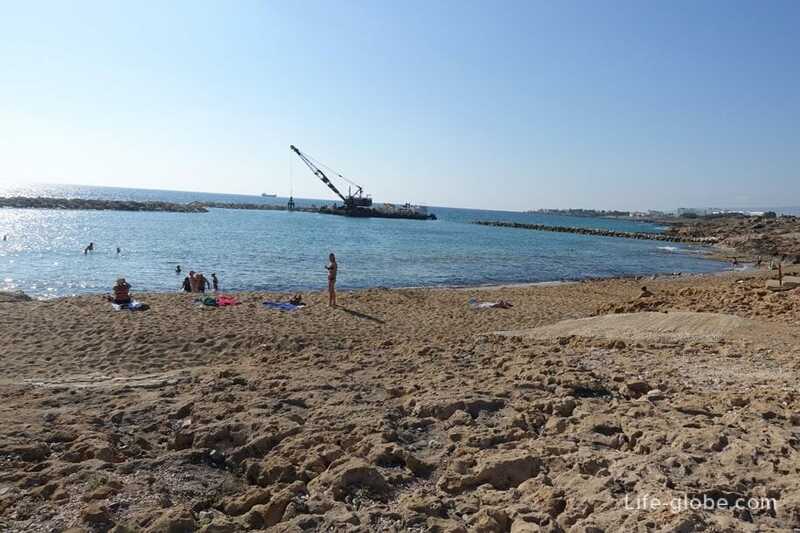 Municipal Baths Beach is one of the main beaches of Paphos, located in the heart of the coast of Kato Paphos. The beach of Alykes Beach is 200 meters. 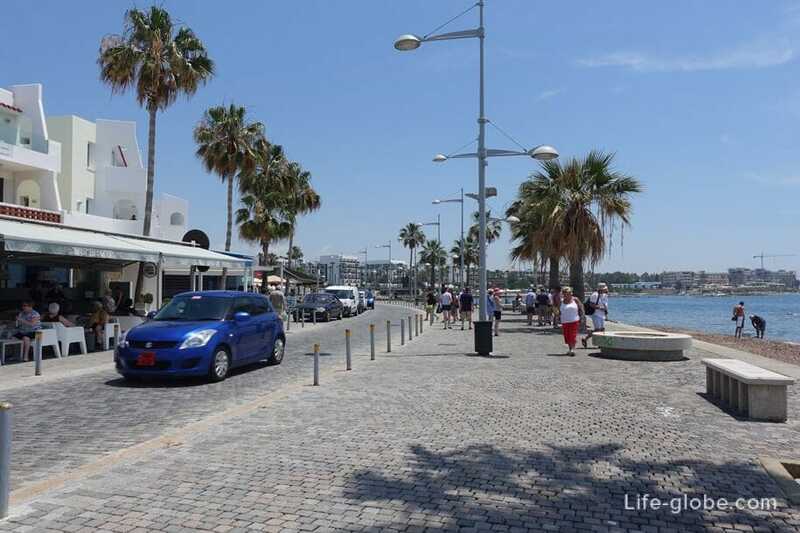 The beach is a narrow strip, which runs along the waterfront - Coastal Broadway. Rare places on the Alykes beach, there are small areas of coarse sand of a dark color mixed with pebbles. Beach Vrysoudia B is a small and narrow beach of mainly dense sand is gray, sometimes mixed with pebbles. The beach is cleaned regularly. On the beach there are algae. Above the line of the beach Vrysoudia B promenade is a waterfront Broadway. 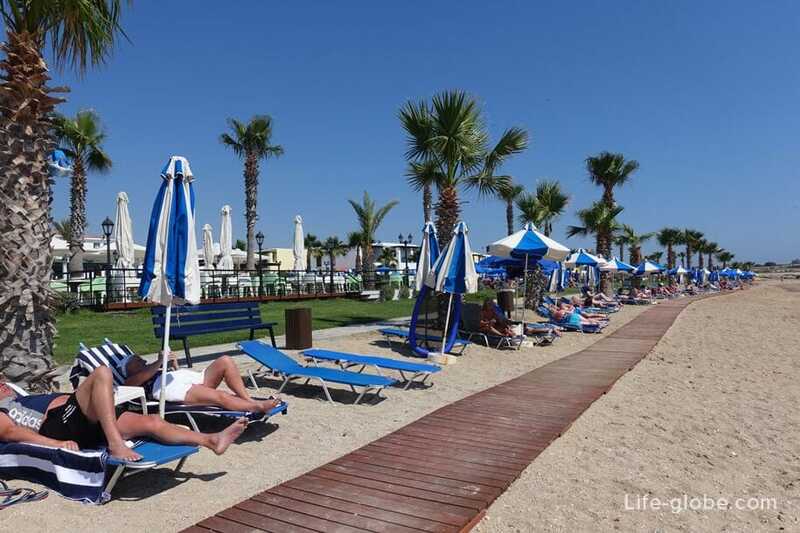 Here is a 4-star hotel Alexander The Great Beach Hotel with landscaped grounds, 2 pools and direct beach access. Beach SODAP the official name Vrysoudia A. 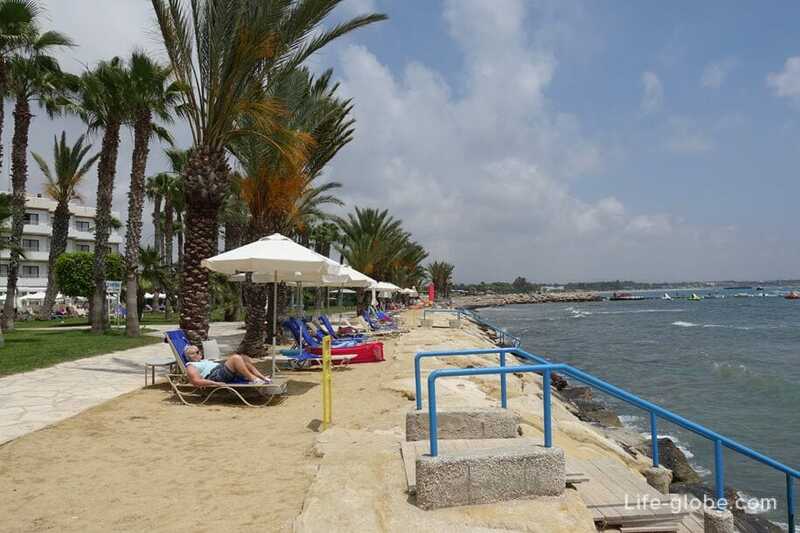 In comparison with other Central beaches of Paphos beach Sodap quite large and well maintained. The length of the beach is 300 metres away. For the Central part of the beach SODAP, South along the coast is another little piece of beach under the cliff. On the South side to the beach are stairs. And above the line of the sea runs the promenade, which is a 4-star Amphora Hotel & Suites with direct beach access, swimming pool kidney-shaped, a restaurant and a lounge bar. - 4-star Constantinou Bros Athena Royal Beach Hotel with three pools, 2 hot tubs and a tennis court. 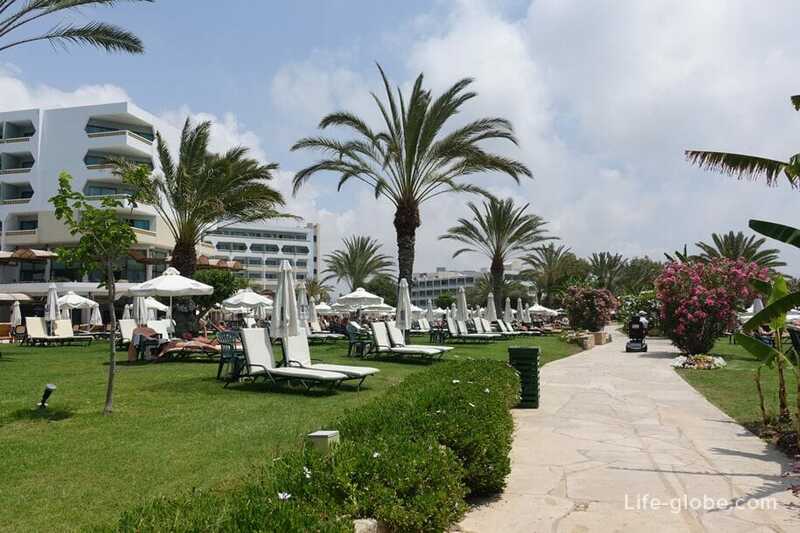 - 4-star Constantinou Bros Athena Beach Hotel with a Spa, 2 saunas, 2 steam baths, a gym, a tennis court, an outdoor and a cool bowling alley, children's club, swimming pool and mini Golf. Along the shoreline, in adjacent areas Otley, pedestrian area, she's promenade. Pachyammos Beach - there are two Pachyammos beach: Pachyammos and Pachyammos 2, together forming a single beach. Pachyammos beach is mostly sandy, sometimes mixed with pebbles and stone ledges. For Pachyammos beach - a wild coast, sometimes alternating with beaches, near which are also the hotels that have direct access to the beaches. 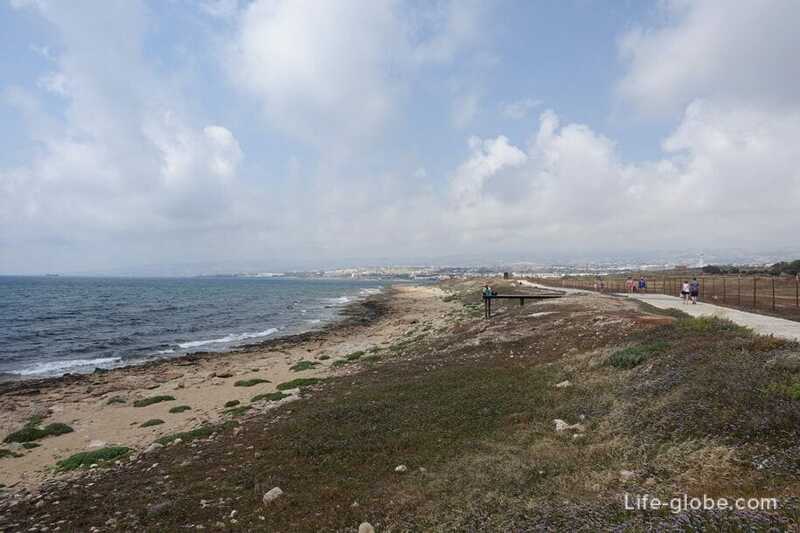 Behind the Harbour and Paphos castle, North of the coast there is the promenade from one side of which is a wild coast, and on the other fence, behind which is located the Archaeological Park of Paphos. 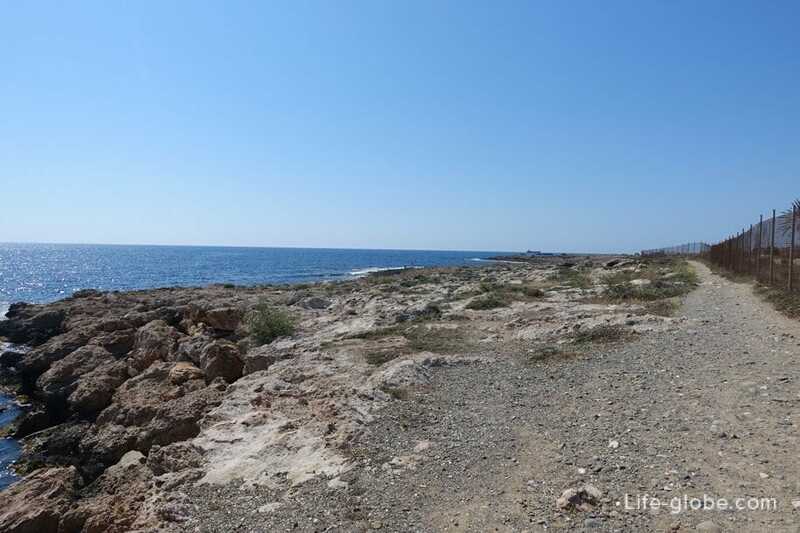 This promenade leads to one of the Central beaches of Paphos - Faros. Faros beach another name for the Lighthause beach is quite wide and spacious beach. 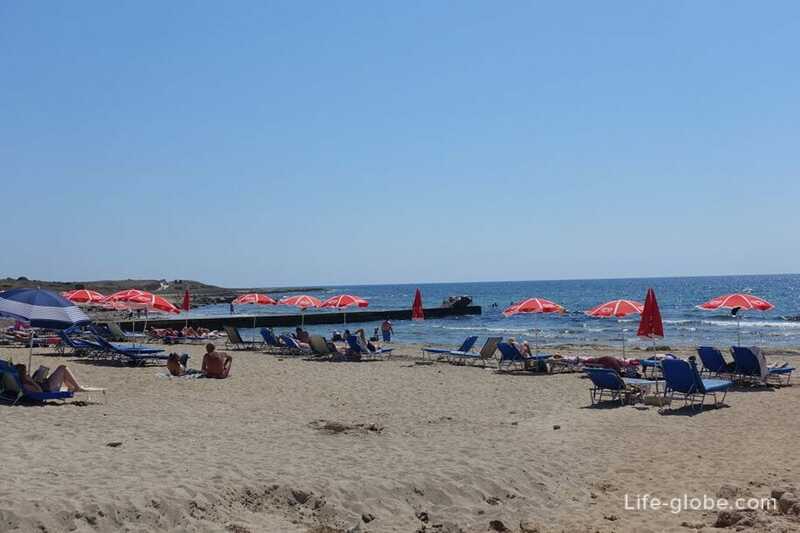 The length of the beach of Faros are 400 metres away. On the beach the sand is light gray, sometimes mixed with pebbles and stones. The beach is cleaned regularly. However, algae on the beach are abundant. The 4-star Kefalos beach Tourist village or just to Kefalos beach, located on the first line, near the Mediterranean sea. Refined green territory of hotel Kefalos is a complex, which has all the necessary infrastructure beach: lovely two-storey building, walking paths, a promenade with benches for relaxing, a swimming pool, a café and a restaurant. The 5-star Elysium is located near the Royal tombs. Below the hotel is a small beach, having the form of a small Cove. On the beach dark grey dense sand. The beach is clean, sea water too. The bottom is mostly sandy. Entry into the sea is easy and gently sloping. Behind the beach near the hotel Elysium originates the long wild coast, rare in some places alternating with beaches near 5-star hotels and more or less suitable for swimming in places where either no, or virtually otsovetuyu beach infrastructure. Sandy beach close to the 5-star Venus Beach Hotel, located just behind the Royal tombs. Behind hotel Venus to the North along the coast there are several 5-star hotel: Capital Coast Resort And Spa, King Evelthon Beach Hotel & Resort etc. 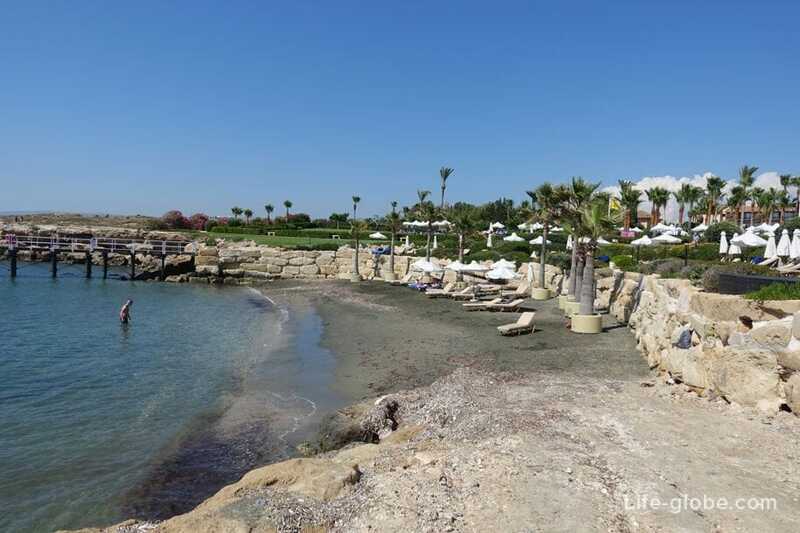 The beaches of Coral Bay are among the best beaches in Paphos. 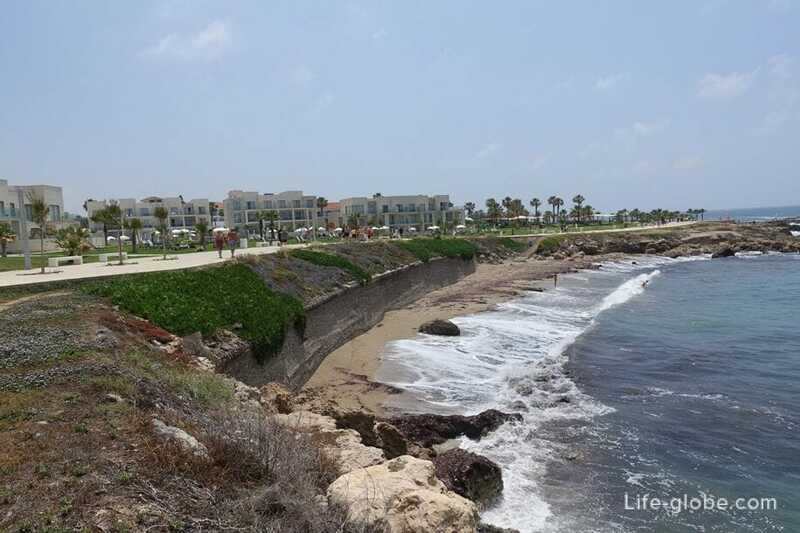 They are located at a distance of 12 kilometres North along the coast from the centre of Kato Paphos. The most well-maintained part of the beach is Coral Bay has a length of about 600 metres away, while the bathing of the coast of Coral Bay reaches 1 kilometer. On the beach are mainly small and pleasant to the touch the sand is light in color. 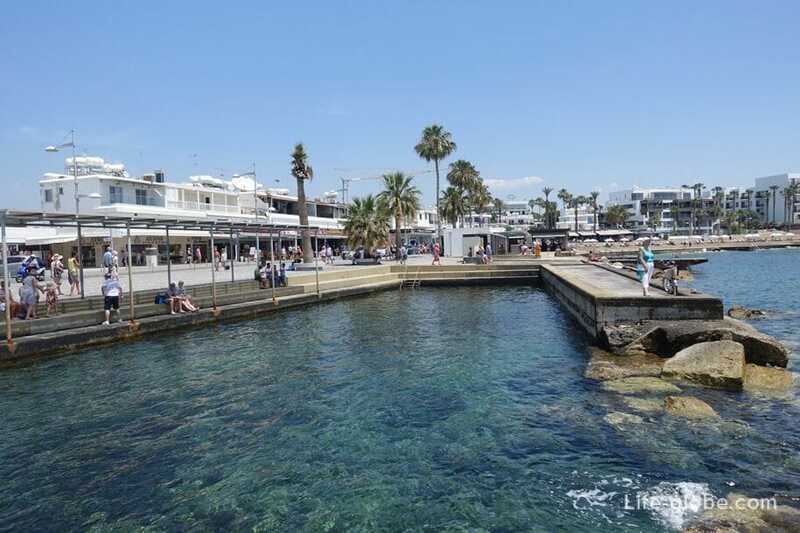 The Coral Bay beach is shaped like a Crescent, flanked by limestone headlands, making the beach more picturesque, and the sea water in the Bay, both sides closed the speakers in a sea of common land, more relaxed and favourable for the sea baths. Laourou Beach also known as the beach Corallia is the second beach resort area of Coral Bay. Beach Laourou framing a Bay with an elongated shape. On the North side of the beach covers the Cape, behind which is the Coral Bay beach. 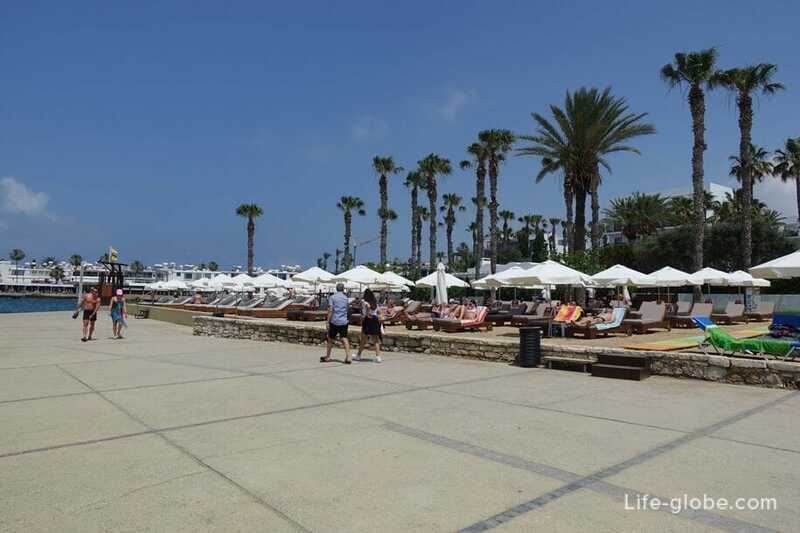 From the South-East side of the beach Laourou is a 5-star Coral Beach Hotel & Resort Cyprus with direct beach access and landscaped area. Also near the beach is a 3 star Corallia Beach Hotel Apartments. 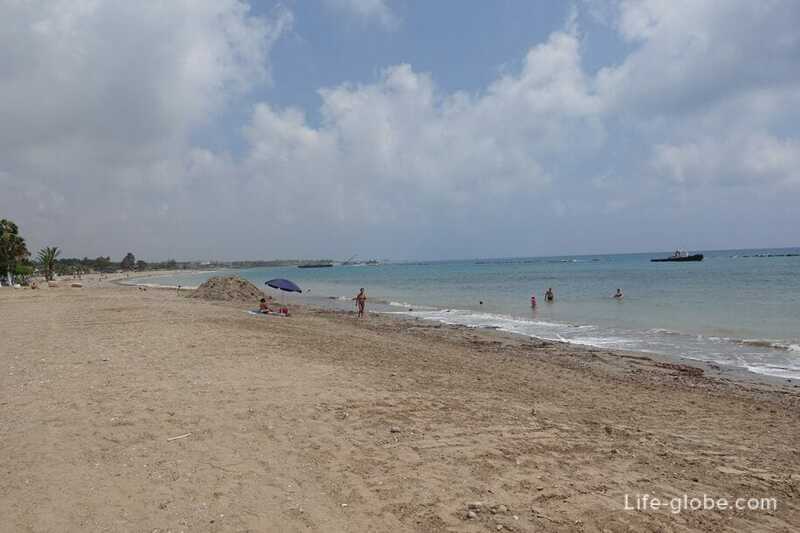 In addition to these, in the district of Paphos there are several popular beaches, though located at a sufficiently remote distance from the centre of Paphos town. The Aphrodite Beach is a pebble. The sea in this area, usually with strong waves, so that local warn tourists to bathe in it. 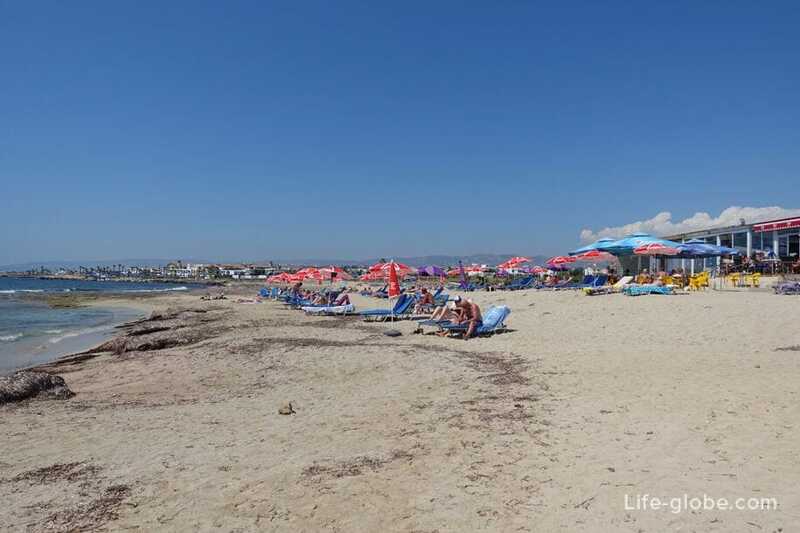 The beach is located in Kouklia village, along the main coastal road linking Paphos and Limassol. 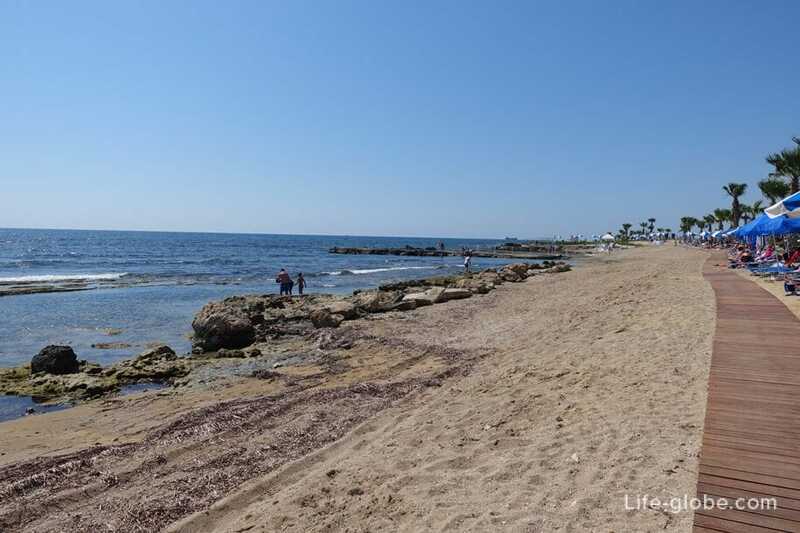 Distance from Harbor of Paphos to Aphrodite's Beach is approximately 24 kilometers. 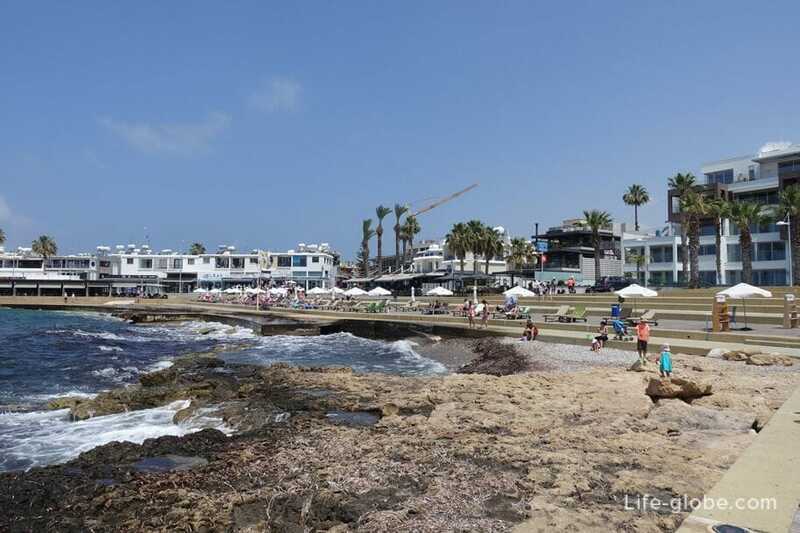 The Lara Beach, Latsi Beach and Polis beach, located North along the coast from the centre of Paphos, is also recommended as one of the best in Paphos. 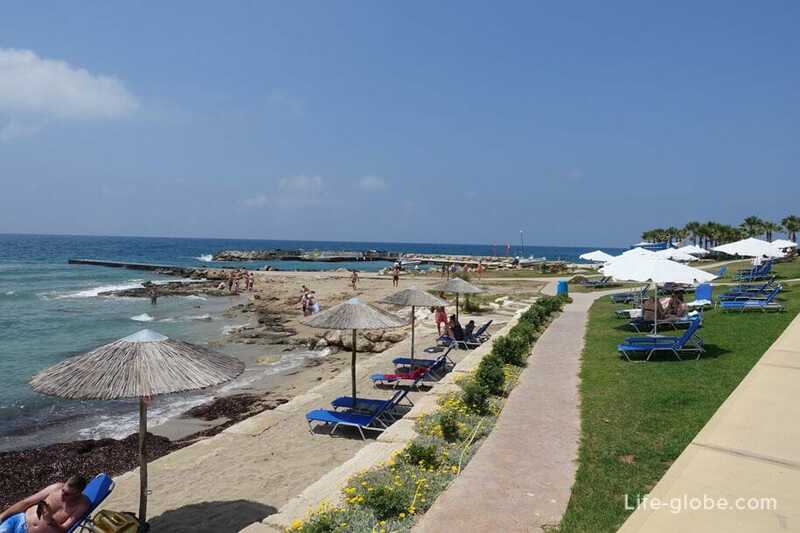 Lara beach or turtle beach, is located along the road, at a distance of 27 kilometers North along the coast from Paphos city center. While the beaches of Latshi and Polis is more convenient to visit while vacationing in the area of Polis.